This is one amazing piece of music, period. 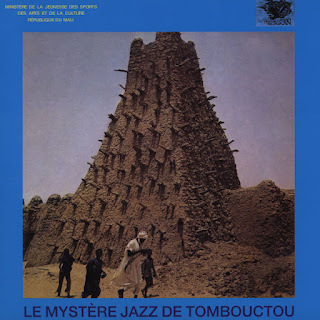 Hails from Mali, and was recorded back in 1977. Hypnotizing afro guitars meet the free jazz brass in the jungle, or something like that. If you get into the groove, head over to a music blog called Digging For Diamonds In Mountains Of Mediocrity and take it from there with a most excellent rip of the very rare and valuable original. Better still though, you can order a freshly restored reissue (vinyl already out, cd later this month) on the Kindred Spirits label.